If you haven’t played it yet, go get it now. It’s free, for Mac or PC and it’s available until May 24th 2010. Being one of the best games of 2007, you have no excuses to miss out on this offer. Originally released as part of Valve’s Orange Box, Portal has become one of the sequel’s most popular titles. The sequel is due later this year. The game consists primarily of a series of puzzles that must be solved by teleporting the player’s character and simple objects using the Aperture Science Handheld Portal Device (“ASHPD”, also dubbed the “portal gun”), a unit that can create inter-spatial portals between flat planes. The player character is challenged by an AI named “GLaDOS” to complete each puzzle in the “Aperture Science Computer-Aided Enrichment Center” using the portal gun with the promise of receiving cake when all the puzzles are completed. 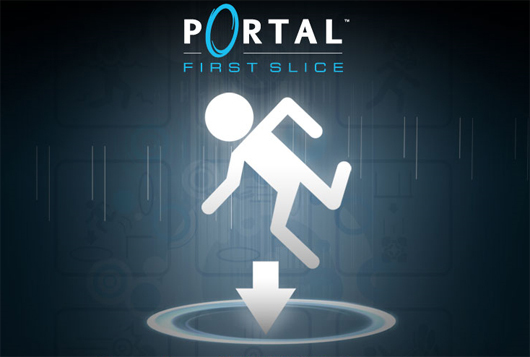 The unusual physics allowed by the portal gun are the emphasis of this game and are an extension of a similar portal concept in Narbacular Drop; many of the team members from the DigiPen Institute of Technology that worked on Narbacular Drop were hired by Valve for the creation of Portal. 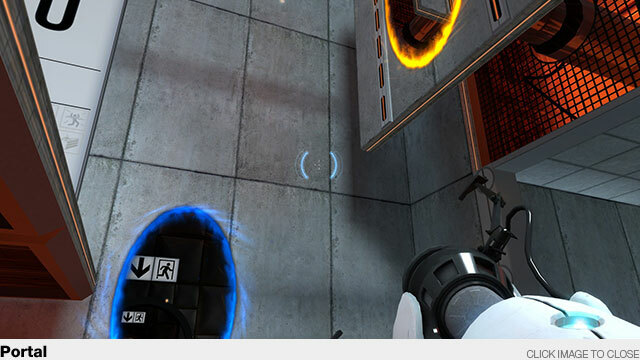 Portal has been acclaimed as one of the most original games in 2007, despite being considered short in length. The game has received praise for its unique gameplay and darkly humorous story, created with the assistance of Erik Wolpaw and Chet Faliszek of “Old Man Murray” fame. It has also received acclaim for the character of GLaDOS, voiced by Ellen McLain in the English version, and the final credits song “Still Alive” written by Jonathan Coulton for the game. The game’s popularity has led to official merchandise from Valve including plush Companion Cubes, and fan creations such as recreations of the cake and replicas of the “portal gun”. A sequel, Portal 2, was announced in March 2010 for release during the 2010 holiday season. Valve are seriously making a great move to their newly Mac supported digital retail platform and the Apple users should adhere to their new developer overlords.